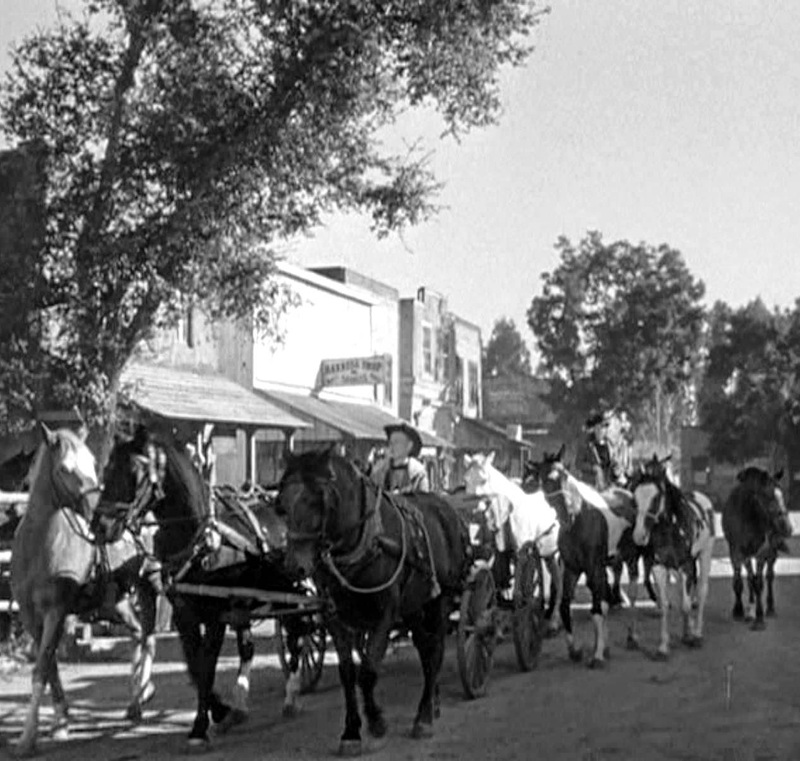 from John Ford's Wagon Master (1950). 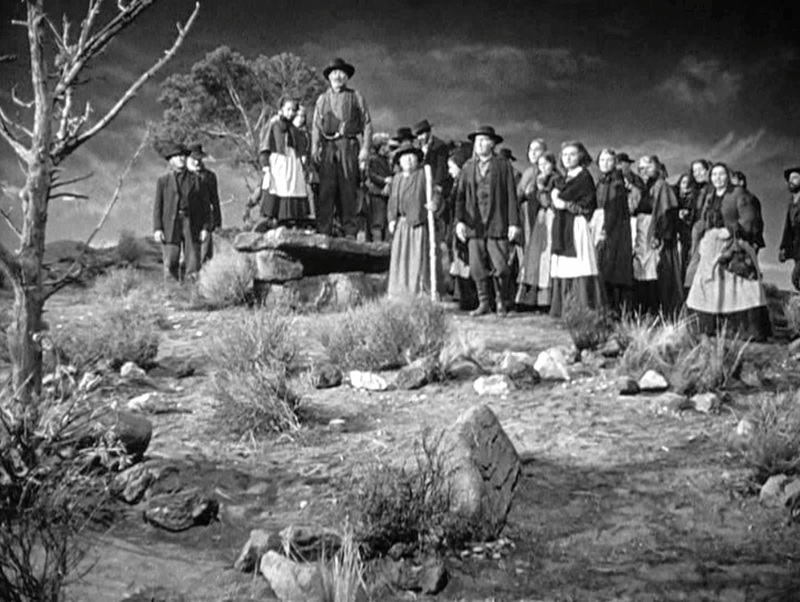 I haven’t found anything in historical sources to refute Wimmer’s vision of two-fisted, gun-toting Mormon pioneers, but it sure isn’t the image you get in Wagon Master (1950)! 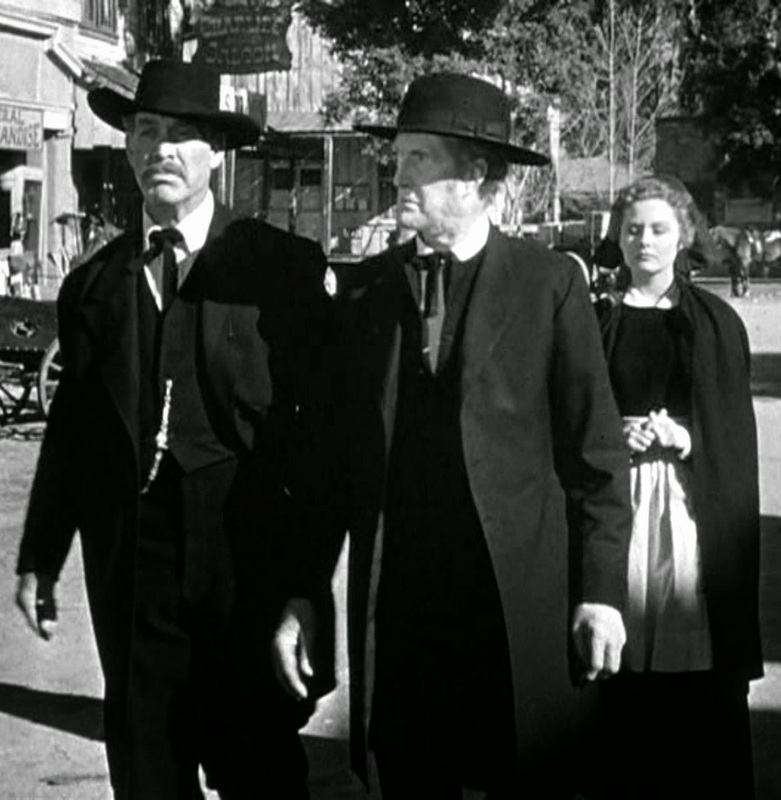 Director John Ford conceives of the Mormons as traveling without guns, an important plot point of the movie. I wonder if Ford confused his Mormons with the Quakers? Or maybe the Mennonites? Or the Hutterites? The plot of Wagon Master is consistently respectful of the peace church traditions held by those denominations, but the Church of Jesus Christ of Latter-Day Saints has never professed a pacifist doctrine. For that matter, Ford’s Catholic tradition usually hasn’t sided with the religious pacifists either (with a few notable exceptions). Many critics have suggested that Ford’s presentation of these peaceful pioneers is meant to be viewed ironically. The unarmed Mormons achieve their Promised Land only because they accept non-Mormon protectors—Travis Blue (Ben Johnson) and Sandy Owens (Harry Carey, Jr.)—who gun down their enemies. But I disagree with this critical consensus—which shouldn’t be too surprising to anyone who knows my personal Mennonite/Anabaptist convictions. Solidly in the peace church tradition, these very un-Mormon-like pioneers are determined to remain steadfast in their faith and principles. No, they probably wouldn’t make it to their Promised Land without Travis and Sandy but their convictions would remain intact. They are presented as a people who live their faith. If this means the bad guys shoot them down, so be it. John Ford’s presentation may not be historically valid for Utah or the Mormons, but it speaks to me. 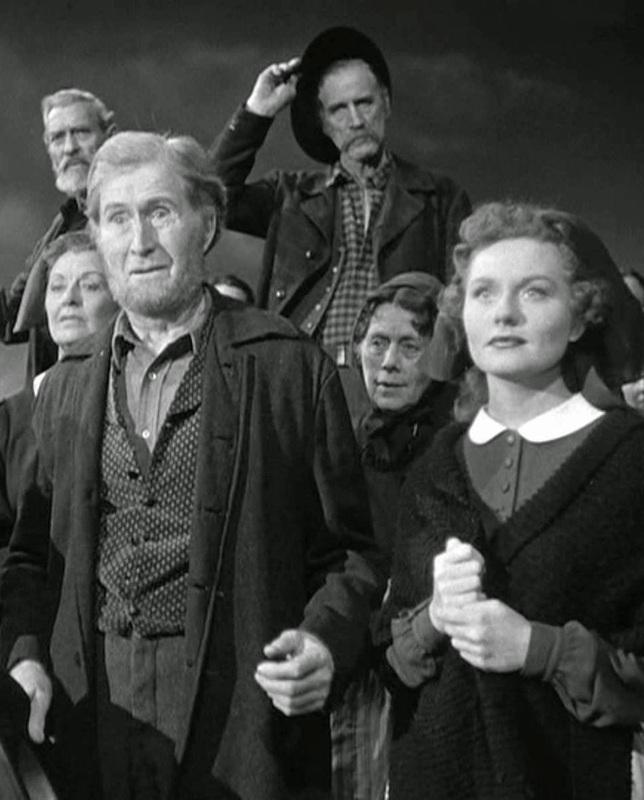 I love the movie’s openness to accepting differing points of view—it’s a big tent movie that welcomes pacifists, show folk, horse traders, and gunfighters. No one gets turned away. Everyone’s invited to join the wagon train to the Promised Land. Most telling of all, Travis turns his back on violence at the end in a seeming endorsement of the peace church tradition. His participation in the final gun battle is his last violent act before gaining religion. When we see him at the end, paired off with his girl Denver, I think we can assume that he’s found his home among these good people. I see a purely happy ending, without a drop of irony. Travis finds his Promised Land on the wagon trail, beside his girl, and without a gun. 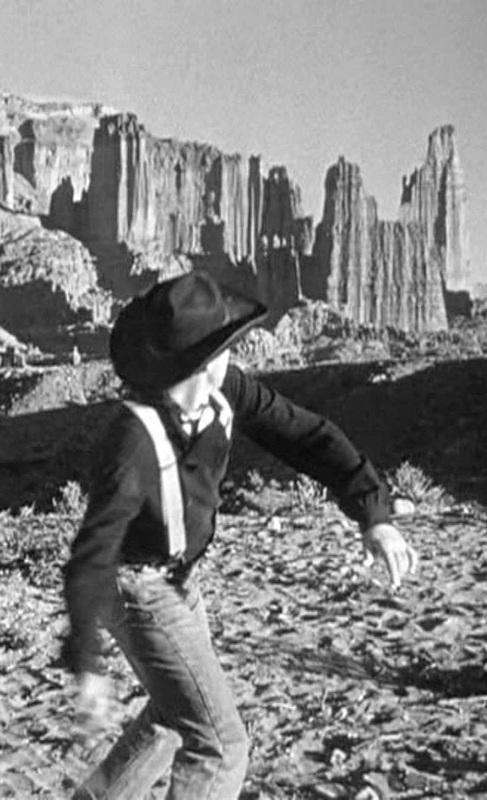 Geography never meant much in a John Ford western. In his movies, the west is a mythic land where the town of Tombstone (located in the hot, parched lower desert of Arizona) can overlook Monument Valley (located on the high desert of the Colorado Plateau). Pulling in to Crystal City, somewhere out west. Wagon Master opens in the town of Crystal City. If this is meant to be Crystal City, Colorado, it’s a location far south of both the Wyoming-based Mormon Trail and the Overland Route that most Mormon pioneers followed. Now a ghost town, Crystal City was once a rugged Rocky Mountain mining town, located 200 miles west of Denver. Travis Blue (Ben Johnson) refers to the Navajo country as lying to the southwest, which would match this location. The goal of the Mormons is to reach the San Juan River Valley, “a valley that’s been reserved by the Lord” according to Elder Wiggs (Ward Bond). The San Juan River flows through the Four Corners area, starting in southwestern Colorado then weaving through New Mexico and Arizona before meeting up with the Colorado River in southern Utah. Despite the river’s presence, there isn’t much in the nature of a fertile green valley in this arid area. According to James D’Arc’s book When Hollywood Came to Town, co-screenwriter Pat Ford (John Ford’s son) suggested “filming the story where it happened” and that’s what led the film crew to Moab. 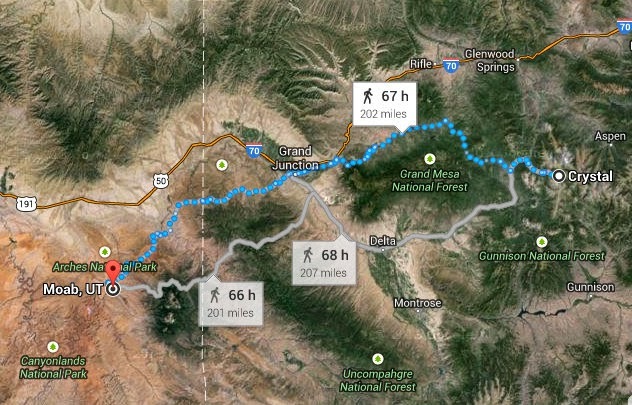 But Moab isn’t on the San Juan River, which is located around 100 miles due south at its closest. The time period of the movie seems to be shortly after Brigham Young arrived in Salt Lake City in 1847. Since there is no mention of the Civil War (and Ford westerns frequently reference the Civil War), it would suggest that the story is taking place before 1861. Pat Ford may have based his script in part on the Mormon establishment of the Elk Mountain Mission near Moab in 1855. The mission failed quickly. 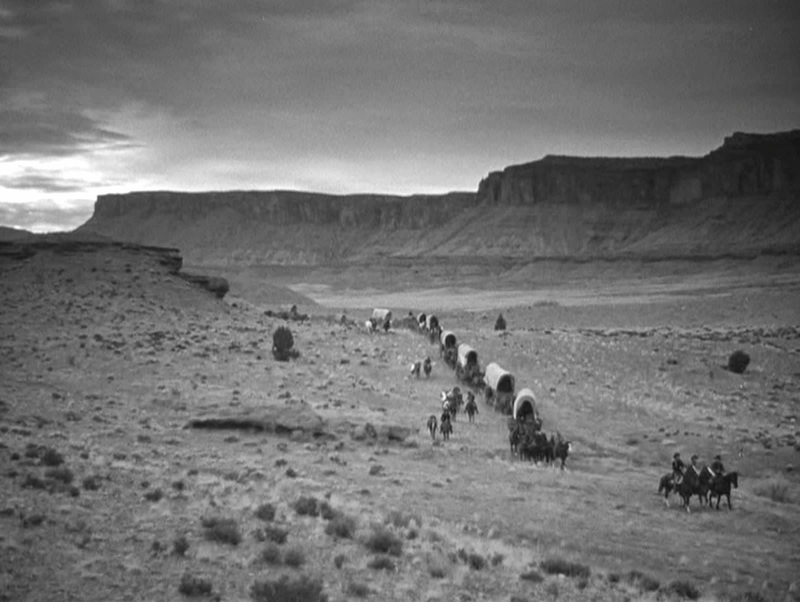 The Mormons in Salt Lake City launched a San Juan Expedition in 1879 that brought settlers eastward across Utah to Moab—the reverse of the movie’s westward journey. The final clearing of the mountain path in the movie may be based on the 1879 effort to create the Hole in the Rock trail through Glen Canyon. from Crystal, Colorado to Moab, Utah. gaze on their Promised Land. "All is well!" The happy ending at the end of the trail. Thanks, Christy! 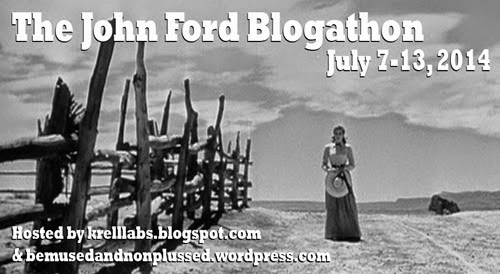 I love your piece on Maureen O'Hara for the blogathon, especially learning that the great Charles Laughton was a good mentor for her!